Start Carpool Karaoke now to rehearse for The Sound of Music Sing-Along, screening on Thanksgiving Friday at The Tull Family Theater. The Sound of Music Sing-Along and Planes, Trains & Automobiles launch a season of special screenings that run through the end of the year at the Theater, an independent, nonprofit cinema open 365 days a year. The Theater will offer a full day of programming on Thanksgiving, showing Widows and The Grinch. Closing the Art & Gardens series will be The Gardener, focused on an amazing artistry developed over decades outside Quebec. 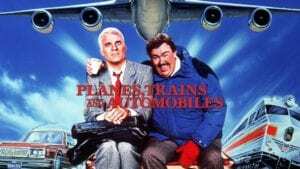 Opening on the first day of Thanksgiving week, patrons are invited to warm up with the travel trials of the holiday season with the 1980s comed y classic Planes, Trains & Automobiles. Starring Steve Martin as a wound-tight executive and the late John Candy as an overzealous, over-sharing shower ring salesman, the classic is the one film that the late critic Roger Ebert and his family made part of their holiday tradition. “This part-mismatched buddy comedy, part-road movie, part-holiday film is widely regarded as one of the funniest of its decade,” remarks Britain’s Metro. 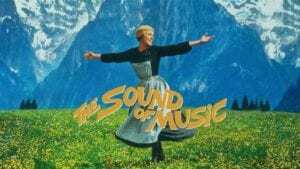 The Sound of Music Sing-Along: Friday, Nov. 23, 10:30 a.m. Even more than 50 years after its cinematic release, The Sound of Music—the final collaboration of Rodgers & Hammerstein—stands strong as a Thanksgiving film favorite. The film is based on a real-life pre-World War II story of love found between a father of seven and his children ’s governess, and a daring escape. “Music is the all-encompassing element in The Sound of Music, a powerful and almost magical combination, which not only unites the von Trapp family, but also underlines how the power of strength, togetherness and love, as well as a sense of community could be maintained even during the war period,” says Salzburger.com, the website for the Austrian city where the film was made. This year, the crowd will be lead in singing by Molly Stater, a Sewickley opera performer and music educator. Given the enthusiasm and spirited singing at last year’s sell-out, patrons are advised to purchase tickets in advance online or at the box office. 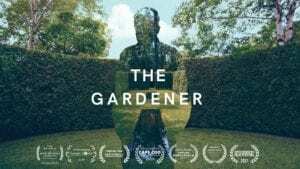 The Gardener takes viewers on tour and behind the scenes of the 20-acre estate in the rolling hills of Charlevoix, providing a respite of beauty and calmness with an Asian moon bridge, bubbling fountains and exquisite greenery and florals. Sewickley Light-Up Night: Friday, Nov. 30, 5 to 9 p.m.
Sewickley will be filled with the hum of the holidays starting on Friday, Nov. 30, and The Tull Family Theater will participate alongside the Sewickley Chamber of Commerce, Explore Sewickley and other organizations and businesses. Free performances at the Theater will be scenes from The Nutcracker performed by West Point Ballet, led by former National Ballet of Cuba dancers Cynthia Castillo and Damien Martinez, and sounds of the season, brought by veteran musicians James Tobin & The Dewey Decimators. More details to come, but word is the night will end in fireworks! The Tull Family Theater, a 501(c) (3) Pennsylvania nonprofit, is a film-based arts organization created to strengthen cultural, educational and entertainment experiences in the region northwest of Pittsburgh. Supported by diverse revenue streams from private, public, corporate and foundation funding, the theater counts among its donors Allegheny Regional Asset District, Huntington Bank, Esmark and the Bouchard Family, more than 700 individuals and its patrons. Their support sustains and expands programming at this independent cinema in Sewickley offering two screens and an event/performance space.